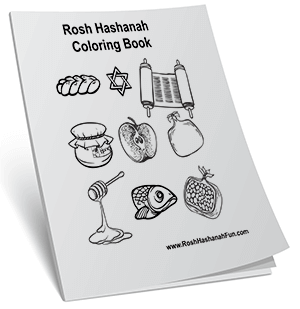 Home » About Rosh Hashanah » How Do You Say Happy New Year in Hebrew? The Talmud tells us that our fate for the coming year is inscribed by G-d in the Book of Life on Rosh HaShanah, but it is not sealed and made permanent until Yom Kippur. 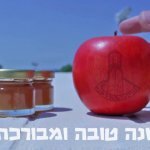 The traditional Ashkenazic greeting, therefore, is “l’shanah tovah tikateivu v’tikhateimu”, meaning “may you be inscribed and sealed [in the Book of Life] for a good year”. This is pronounced leh-shah-NAH toh-VAH tee-kah-TEH-voo veh-tee-kha-TEH-moo, where the “kh” is a guttural like the “ch” in Loch or Bach. 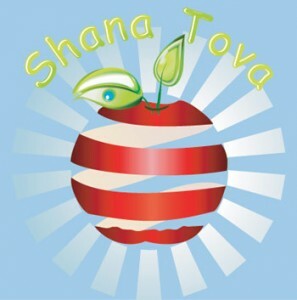 This greeting is often shortened to a simple “shana tovah”, meaning “good year” [shah-NAH toh-VAH], or “shana tovah u’metukah”, meaning “good and sweet year” [shah-NAH toh-VAH oo-meh-too-KAH]. In the days between Rosh HaShanah and Yom Kippur, it is appropriate to wish each other a “gmar chatimah tovah”, meaning “a good final sealing [of your fate in the Book of Life]”. This is pronounced geh-MAHR khah-tee-MAH toh-VAH. The traditional Sephardic greeting is “tizku l’shanim rabbot”, meaning “may you merit many years”, pronounced tiz-KOO leh-shah-NEEM rah-BOHT. The proper response is “ne’imot v’tovot”, meaning “pleasant and good ones” [neh-ee-MOHT veh-toh-VOHT]. Among Yiddish speakers, the usual greeting is “gut yom tov”, meaning “happy holiday”, or “gut yohr”, meaning “good year”.